There’s no other way of putting it: Britain has a serious empty homes problem. 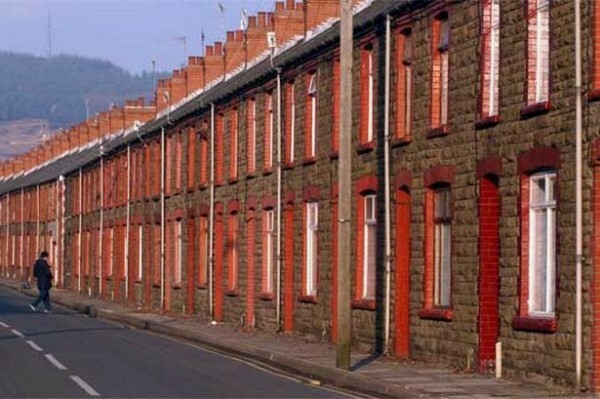 Recently, it was revealed that over 610,123 in England alone are left unoccupied. What’s worse is that 205,821 of them have been left for a staggering six months or more. That’s the criteria for ‘long term’ emptiness. With widespread panic over the national housing shortage, this is only making the problem worse. So what’s causing it, and how can we prevent it from happening? Super-rich property investors are buying up homes at an alarming rate, then leaving them empty for many years. This may be so that they can move in quickly without having to evict tenants, or so that they can wait for the market to pick up and then sell their pristine property on for some serious profit. When a home is left abandoned, it means that there is no one there to notice any changes – which can have disastrous consequences. One case in particular stands out. In Kensington, one of London’s most affluent areas, there was a house left abandoned for many years. In 2009, the local council recommended that the home in Alba Place, close to Portobello Road, be subjected to a compulsory purchase order. This was after it emerged that there were serious drainage issues in the property, which could possibly be linked to the mould and structural damage also found. What is clear is that the drainage issues had been getting progressively worse over time – and going unnoticed because the house was left empty. This can then lead to a vicious circle in which the owner cannot let out the property because of the problems – and thus having no money to take the necessary action to solve them. The result? Yet another empty property adding to the national crisis. Keeping any drainage problems under control is relatively easy. If you identify an issue, then it’s best to take care of it as quickly as possible. If there’s an emergency that needs addressing, then it’s best to call in the professionals – they’ll be able to solve it quickly and efficiently. Likewise, it’s advisable to look at drain maintenance if you’re going to own the property for the foreseeable future. Preventing problems is far more cost-effective than having to solve them, and you’ll be able to lease your property with complete piece of mind. If you see a property you suspect is abandoned, report it sooner rather than later. If you own a property, then keep an eye on what’s going on in it. Rather than let drainage problems get the better of you, taking responsibility for your property, and consequently addressing and preventing issues, will make life much easier. If everyone does the same, then we could be looking at far fewer deserted homes on Britain’s streets – which can only be a good thing. After all, a home is intended to be lived in, not to lay empty.